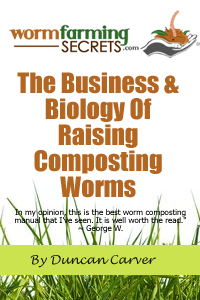 Contains various teaching materials for teachers to use in their classroom worm farming projects, including lessons and activities to teach the valuable aspects of worm farming to your students…. If you really want to supercharge your worm composting operation, now you can see exactly how the professionals do it, learn their methods & mimic their successes. Check It Out Here. Whether you're a complete beginner and don't know where to start, or you're a seasoned chicken keeping professional and just want practical "how to" advice on tap, here's everything you need to know about keeping chickens in your own backyard. Check It Out Here. Learn how to grow 10 times the amount of vegies in the same space you would use in a regular garden plus eliminate all weeding and soil work. Works great along side worm composting. Check Out The Video Here. Learn how to grow organic food with less than 8 hours work a year. This is a breakthrough method to counter food security, rising costs & to just generally grow healthier vegies. Check It Out Here. If you're interested in growing your own mushrooms, here's a whole bunch of different techniques with easy step by step videos. Check It Out Here. This guy has been "off the grid" for more than 4 years now. Learn how to reduce your energy bills & get started with solar power. Check It Out Here. If you need to get in touch with us for any reason you can get us at the email below.